As an ardent believer in the automotive industry and a serial optimist, I’m done expecting the destruction of today’s automotive retail model. Instead, I want to talk about the Goldilocks Zone: How do we find that ‘just right’ space that embraces innovation and efficiency, without trashing the existing model? Complete disruption of the automotive retail model is too lofty a goal, and one I think we should stop talking about. In 2017, dealers employed some 1.1 million Americans with an annual payroll estimated at $66 billion across 16,802 locations. Complete disruption, or destruction, is the wrong choice for our nation and consumers. Additionally, consumers still value the retail model, especially when it comes to making the decision on which car to buy. My wife is a great example of this. She recently decided that she wanted a Volvo, but then she bought a Dodge. Why? Because like most car buyers, we did our online research, went on test drives, and talked with dealers. Because of the retail dealer model, my wife had a better experience and bought the right car for her needs-- which she would not have done in an e-commerce world. New subscription services offer even more choice to meet the lifestyle of consumers and still utilize the retail channel for distribution. And leaving the situation alone will only lead to more of the same: Dealers spending more money to get the same number of sales. Profits trending down. Animosity continuing up. New vehicle sales gross profits have steadily decreased YoY for the past three years. With car buyers starting their journey online, customer dealership visits have dropped significantly. Only 1 in 2 buyers report satisfaction with the car buying experience. Oh, and everyone hates car salespeople—still. But there is a third way. We can look at the existing model, identify the pain points, and use our experience and technology to make the change—within automotive, not from outsiders. Our industry is steeped in technology, and we’ve driven innovation for decades. We are smart enough to figure out how to produce automated, connected cars that run on electric power. Now let’s figure out how to make every car purchase a good purchase by innovating the broken parts of our sales process. How do we get more efficient? Maybe instead of adding another $500 to the marketing budget this month, we should consider the sales process that actually transpired with the leads we generated. Did we work all our leads? Did the sales process we planned for get executed as planned? Where or why did we waste time and resources? How do we manage the online-to-offline transition? 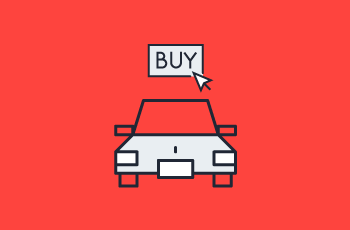 With nearly every buyer starting the buying process online and using their phone as their primary tool, how do we coordinate the purchase experience between website, phone, and dealership? What are all the ways that we’re frustrating our customers? Yes, we agree that car buying is expensive and complex, but that’s not the only thing driving so many people to report poor experiences with dealerships. How well are we managing the customer’s experience? Is the online experience tight? How about the phones? What tactics can we use to streamline the process for the customer? How are we supporting salespeople? It’s popular to believe that all salespeople are lazy or greedy. But we’re not getting anywhere upholding this as the status quo—and our buyers feel the tension. How do we take a close look at the challenges our salespeople are facing and provide the actual insight needed to increase sales and morale? How do we take a close look at the challenges our salespeople are facing and provide the actual insight needed to increase sales and morale? None of these are easy questions. But I believe that all it takes is for us to shift our focus. Instead of calling for the current model of automotive retail to die let’s instead work through the process of incremental improvement with consistent innovation. With this approach, we can make the quick and meaningful progress needed to silence the clamoring for destruction. To learn more about how we're intelligently innovating in automotive, contact us or go to www.foureyes.io.